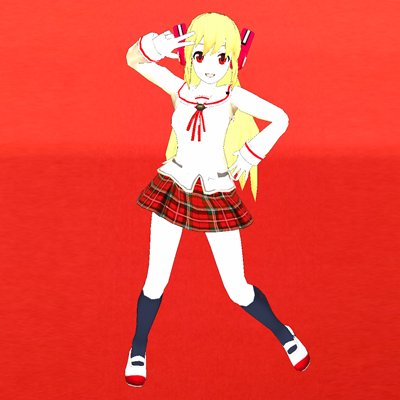 This data consists of a 3D model of "Crimrose", from the upcoming simulation game Cosmic Angel, for MikuMikuDance. Crimrose has traveled long and far from the Cosmic Ark on a journey to learn the meaning of the word "moe". Now she's arrived at a dimension near you! What kind of school life hijinks could be awaiting you and Crimrose? Designed to work with the physics engine of MikuMikuDance v7.39 and later. Some aspects of the model may behave strangely in versions earlier than 7.39. CyberStep, Inc., will not offer official user support for the original model data or any and all modified versions. For unofficial support and information, please visit the CBxMMD User Mutual Aid Society on the CosmicBreak Official SNS (English).